We’re thrilled to announce that we’ve joined Compass, a technology-driven real estate company. 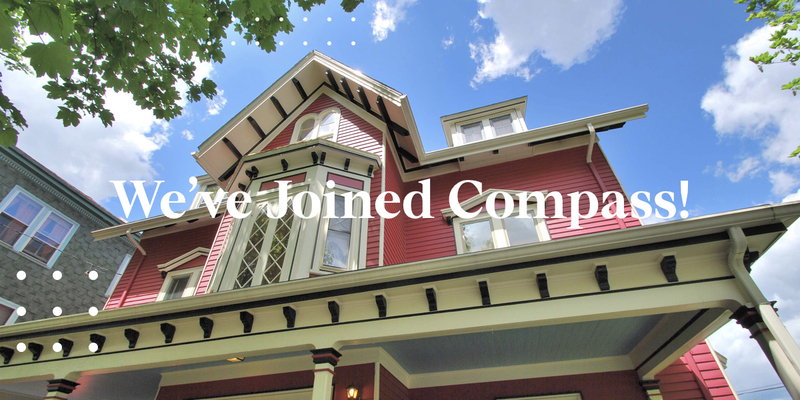 Fusing the best of a traditional brokerage and the best technology, Compass will allow us to elevate our business and continue to provide our clients in Jamaica Plain, Roslindale, West Roxbury and the Greater Boston area with exceptional service. Here’s a quick look at how Compass empowers us as agents. With dedicated product and engineering teams, Compass has developed a proprietary suite of tools that allow us to communicate with clients, price properties, market listings, and reach buyers more efficiently and effectively than ever. By providing operational support staff in every office, Compass allows our team to focus on the core operations of our business: building relationships with clients and knowing every nuance of the market. Designers, strategists, and producers from the world’s foremost creative companies are the talent behind the Compass brand, developing eye-catching, sophisticated materials that attract and resonate with our buyers, sellers, and beyond. With a presence in 10 major markets nationwide, Compass offers the reach we need to source potential buyers throughout the country and assist relocating sellers, wherever they plan to go. As long-time residents of the communities we serve, we’re excited about the opportunities that Compass will provide for our clients in JP, Rozzie, West Roxbury and the Greater Boston area. We would like to thank the buyers and sellers who worked with us during our transition. We had 10 homes go under agreement during our first 3 weeks with Compass. If you’re thinking about buying or selling a home or would like to know more about the local real estate market, don’t hesitate to reach out to us. We’d love to hear from you!